When it comes to garage door maintenance, installation, and repairs, you just won’t find better-quality service than Fenton Garage Doors Inc. Discover the amazing array of top-quality Garage Doors, Door Openers, Aluminum Capping Over Frames, Frames, Torsion and Extension Springs, Cables Replaced and Door Operators. Knowledge, products, service: these make up the foundation of our garage door repair, service, and sales at Fenton Garage Doors Inc. in Brooklyn, New York. That's our family name on the side of those trucks and that’s the reason why your satisfaction is our main priority. It’s also the reason why we have been around so long. Come experience for yourself our reputation for quality service. For more than 50 years, we’ve been serving our neighbors in Brooklyn, Queens, and Staten Island. Our founder, Richard C. Fenton, or "Whitey," as he was affectionately known, started his career in the early ‘50s working for Anderson Overhead Door. He has been at it ever since. 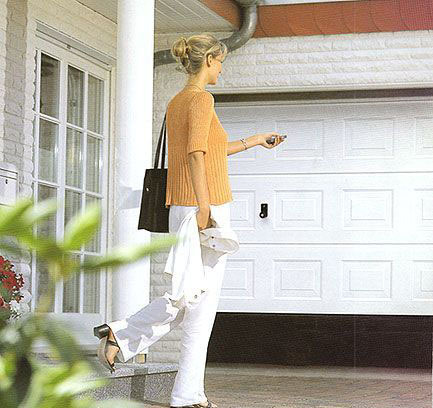 At Fenton Garage Doors Inc., we only distribute products from quality companies that stand behind their warranties. We won't sell a sub-grade door just to make a sale. You’ll discover that, “we offer quality that pays, but does not cost." Since we are local, we’re able to offer a quick response when called upon. We know that, long after the job is completed, a satisfied customer is our best form of advertisement. 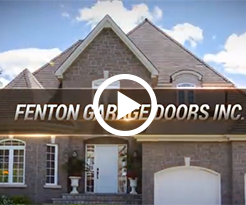 Quality builders and contractors have made Fenton Garage Doors Inc. their company of choice. They know that when a job is done professionally and right the first time it saves money and keeps their customers satisfied.